There are plenty of Batman fans who’d like to forget the Joel Schumacher films ever existed. Even the director himself sounds apologetic when he talks about his second one, admitting he “didn’t do a good job.” But now he’s actually going back to revisit that world, in comic book form. A new report indicates Schumacher is writing a Batman and Robin sequel, which will be drawn by Dustin Nguyen. The twelve-issue series is based on Batman Triumphant, the never-made third film in the Schumacher Batman trilogy. 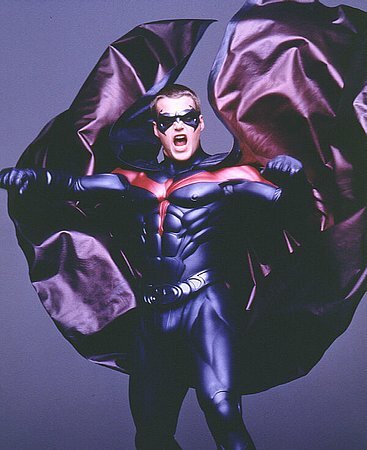 Hit the jump for more on the Batman and Robin sequel. UPDATE: Schumacher has denied the Batman and Robin sequel comic reports, as reported by Bleeding Cool.